A member of Australian’s “Daddo Family,” Cameron Daddo started his professional career in his senior year of high school by performing with his band Nearly Smooth Guys. His hosting debut took place with an assignment in the Aussie children’s television series “Off the Dish” when he was 19 years old. 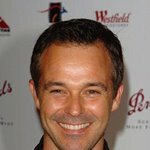 Gaining prominence, the Melbourne native was soon hired to headline his own show called “The Cameron Daddo Cartoon Show.” His major break in Australian showbiz, however, arrived when he took over as the host of dating game show “Perfect Match” (1987), replacing Greg Evans. 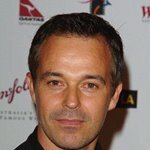 Daddo became a household name, and created a record for being the youngest primetime host in Australian television history. Despite huge popularity, Daddo left the show fifteen months later to pursue other projects. Branching out to acting, Daddo made an auspicious stage debut by playing the role of Huckleberry Finn in the Australian production of the Tony-winning musical “Big River,” where he won a number of praise and awards, including the Mo-Award (the Australian Tony) for Best Male Performer of the Year. 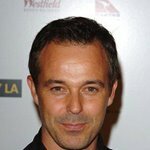 Following a series of TV roles, including a costarring role in the war-themed series “The Heroes” (1988, broadcast in the US on PBS in 1990), Daddo went on to score success with the award-winning portrayal of bicycle champ Walker in Marcus Cole’s mini series “Tracks of Glory” (1991, aired on The Disney Channel in 1992), opposite Phil Morris, and for his fine acting in the TV series “Bony” (1992), where he was cast in the title character, the actor took home an Australian People’s Choice. Concurrently, the multi-talented performer launched a debut solo album titled “A Long Goodbye” in 1992. Recorded in Los Angeles and produced by Keith Glass, the album became a Top 2 hit in the Australian Country chart. As for the musician, Daddo picked up a Victorian Country Music for Best Country Vocalist. A year later, Daddo made his way to Hollywood to further launch his career. He got the supporting part of Alec in the ABC television film Between Love and Hate and a guest starring role in George Lucas’ “The Young Indiana Jones Chronicles” (both 1993). But, he did not crack the American market until he landed a regular role in the “Melrose Place” spin-off “Models Inc,” starring as Brian Petersen, a photographer who could not keep his denims zipped, from 1994 to 1995. 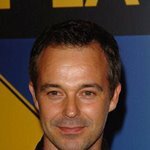 He doubled his previous popularity by taking on the starring role of Rolland ‘Rollie’ Tyler, the special effects specialist, in the syndicated “F/X: The Series” (1996-1998), along side Christina Cox. More TV roles followed. Daddo was seen in television movies Witch Hunt (1999), Anne of Green Gables: The Continuing Story (2000), Drive Time Murders (2001), Zebra Lounge (2001), Riverworld (2003) and The Incredible Mrs. Ritchie (2003). He also starred in the Canadian series “Hope Island” (1999), as well as made guest appearance in “Andromeda,” “The West Wing,” “Earth: Final Conflict,” “The Outer Limits,” “Mentors,” “Mentors,” “CSI: Crime Scene Investigation” and “CSI: Miami.” During 2003-2004, he played Quentin Cross in the action series “She Spies,” which starred Natasha Henstridge, Kristen Miller and Natashia Williams. Already a regular face on the small screen, Daddo, who had starred in the Canada-produced film Anthrax (2001) and appeared in the Daniel Baldwin vehicle Stealing Candy (2002), now concentrates on big screen projects. He was cast opposite Chloe Mackey in actor/writer/director Maura Mackey’s drama film Chloe’s Prayer (2005), worked with Chris Pine and Bruce Davison in drama/thriller Confession (2005), starred as Prof. Michael Lovecraft in the Mark L. Lester-helmed horror Pterodactyl (2005) and was featured in Martin Lawrence’s comedy Big Momma’s House 2 (2006). Daddo will play Rogozhin in drama film The Perfect Sleep (2006), starring Amanda Marie and Roselyn Sanchez, and team up with writer/director David Lynch for his new drama/mystery Inland Empire (2006). The upcoming film will star Laura Dern and Jeremy Irons. Additionally, he is scheduled to star as Victor in Hacia la oscuridad/ Toward Darkness (2007) and Martin in the thriller Drifter (2007).